Kind of a weird theme today, but while looking at my "White" Pinterest board searching for pictures for today's post I realized I had quite a few really beautiful white baths....with really pretty wallpaper. 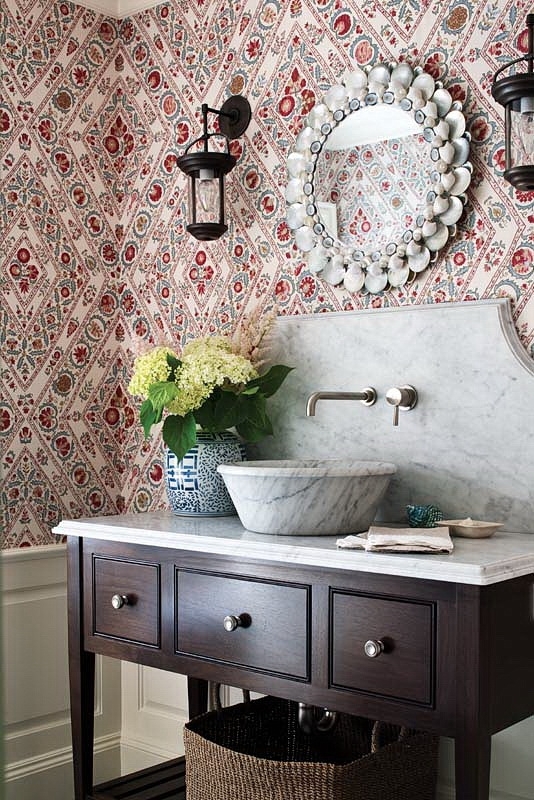 The bath is a great place in your home to go bold with wallpaper. 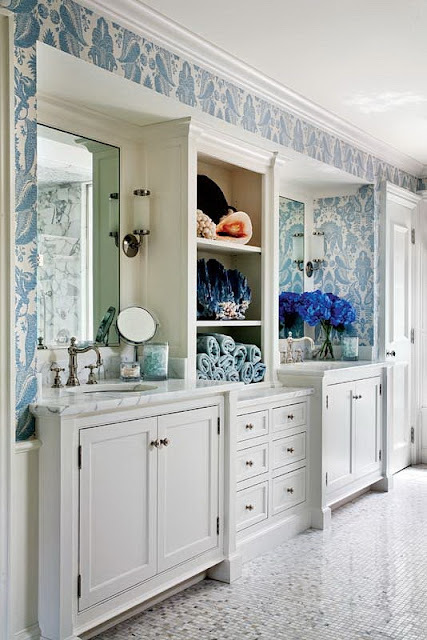 Start with your Powder Bath if you're scared. 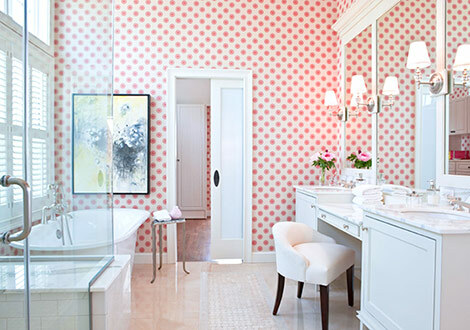 Are you a fan of wallpaper? It seems to be a subject people have pretty strong opinions about. Would you use it in your bath? 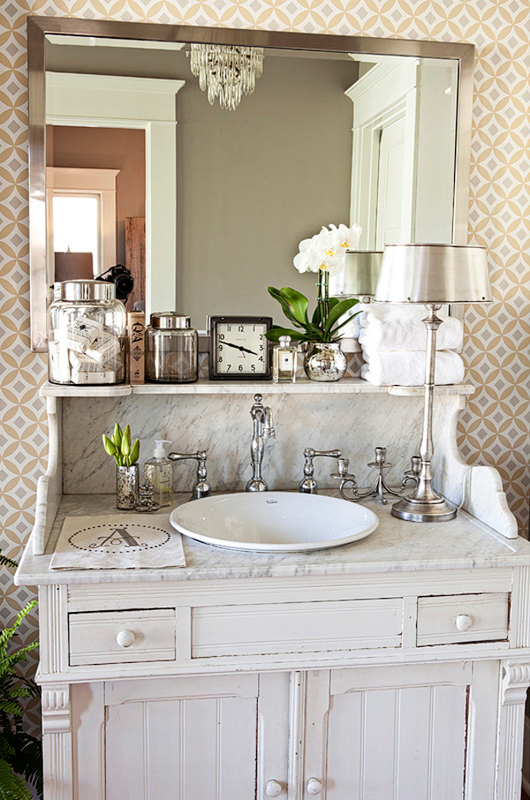 Yes, the wall papers are great and perfect for bathroom vanities style. That was the right choosing to using wall paper for bathroom decoration. 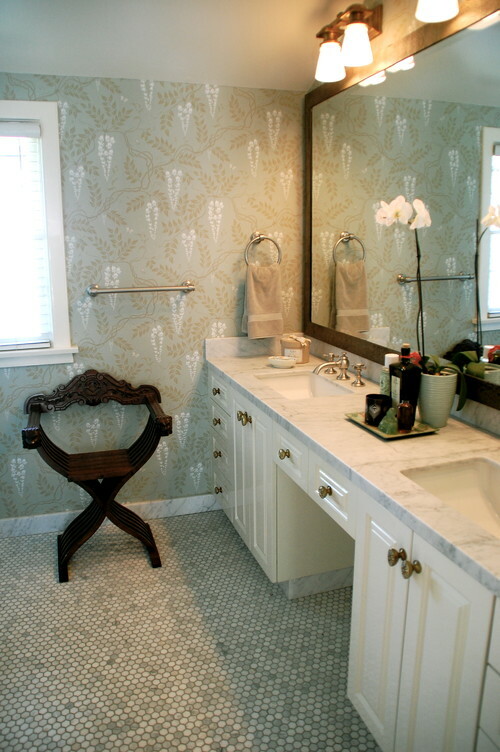 If we want to remodeling bathroom style with the small budget, we may wall paper to take that action.